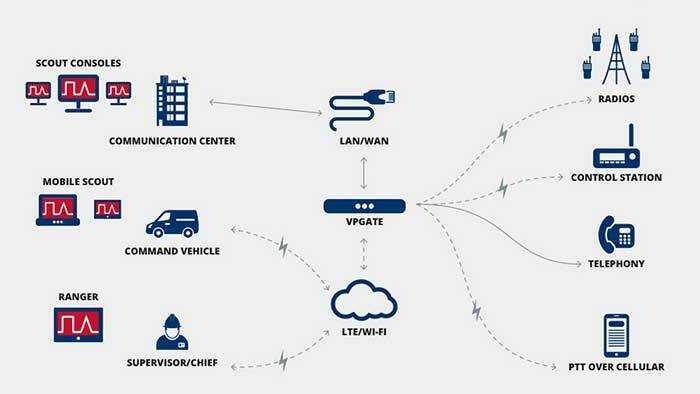 Customizable, scalable, proven, and reliable software-based IP communications for mission-critical and business-critical environments. A built-to-fit, built-to-grow communications solution. Scout leads the industry in breadth of radio and telephony systems supported, which means freedom of choice. Scout supports the P25 DFSI standard, plus IDAS, DMR Tier II, MOTOTRBO, ED-137, and LMR radios. Connect P25 CSSI systems, plus MOTOTRBO, NEXEDGE, DMR Tier III and legacy analog systems. Fully control 1-100+ telephony extensions via direct SIP interface to most phone systems. Easily connect CAD systems, I/O, headsets, indicator lights, archival recorders and more. Modern communications consoles, such as Scout, are capable of far more than push to talk and release to listen. Scout simplifies advanced radio control features with intuitive GUI controls that mask complex underlying networks and streamline the dispatching experience. Scout’s integrated telephone capabilities allow a single unified interface for all voice communications. Through Session Initiation Protocol (SIP), Scout can connect to multiple VoIP phone systems, including Cisco and Avaya. With Scout’s integrated switching and connecting, there’s less infrastructure and hardware to manage — and no desksets required. Scout has unparalleled configurability. Build customized screens by dragging and dropping or adjusting elements including window or pad sizes, text, screen orientation, web browser objects, map backgrounds, custom buttons, colors, fonts, button icons, and more. Even customize the audio experience based on the surrounding environment. Use Scout Manager to develop unlimited screen configurations and assign them to one or all positions. 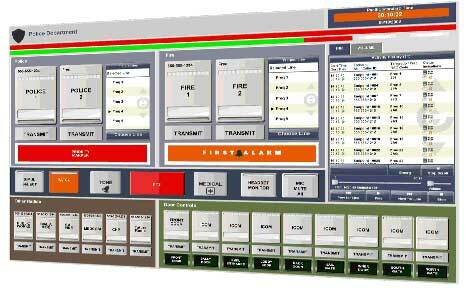 All user interface elements are designed for error-free operation. For more than 35 years, Avtec has provided dispatch consoles for mission-critical and business-critical operations centers. With the long lifespan, software-based Scout system, Avtec continues its legacy of providing proven, trusted, and reliable solutions to clients around the world. Our pure IP platform delivers P25 compliance in an intuitive, customizable console. 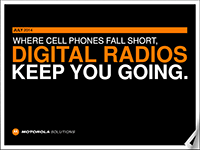 Scout consoles integrate with legacy radios and open-standards-based technology to deliver no-fail communications.